Each spring, Random Acts challenges supporters to get out and spend an entire day doing acts of kindness during our Annual Melee of Kindness (AMOK) — and each spring, we’re amazed yet again by the wonderful, creative ways those supporters manage to change their communities for the better. So back in March, when Leeds-based supporter Tanya wrote to us about a very special organization and a very special little girl named Skye, we were thrilled when she invited us to be a part of those AMOK plans. “I wanted to arrange a toy drive of pre-loved and new art items for the children’s ward of my local hospital in collaboration with Candlelighters [a charity that helps support children with cancer] and on behalf of my colleague’s five-month-old grandniece who had just been diagnosed with leukemia,” she wrote. “I knew we would be lacking certain arts and crafts items such as Play-Doh and items suitable for the younger ones but needed help funding my purchases.” So Tanya looked to Random Acts for help. After sending in her Act Proposal and receiving her approved funding, Tanya was able to purchase an assortment of items including baby toys, paint, pens, coloring books and, of course, Play-Doh. 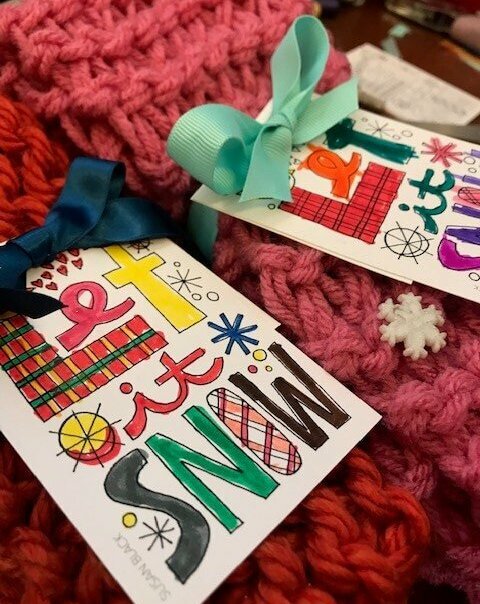 With her purchases and donated items in tow, she paid a visit to the Oncology Day Unit of the hospital and the representatives of the Candlighter’s Trust — and she even brought a few little helpers of her own. About 160,000 children are diagnosed with cancer each year, according to World Health Organization experts. And even though the number seems tauntingly insurmountable, it is people like Tanya and the Candlelighters to whom we owe so much gratitude for doing what little bit they can to ease the burdens of those affected. Keep fighting that fight, Tanya — we’re with you 100 percent. Find out how you can help children suffering from cancer here or support the Candlelighters directly by visiting their site. This act of kindness was sponsored by Random Acts and was featured as a part of our 2014 AMOK challenge. Have an idea for an awesome act of kindness? Head over and fill out an act proposal form — we offer financial assistance to those who need it to complete their equally amazing projects. Start brainstorming!